Contact sales if you are interested in a successful blockchain adoption. Rock Silo Data Company provides hands on fulfillment and support throughout the organization. Customers essentially dictate their support needs and Rock Silo delivers. Mission critical computing is what Rock Silo Data Company does. Our Rock Ledger blockchain platforms are designed to run efficiently with the least power consumption necessary to perform their jobs. Solutions are available to meet the flexible demand of computing resources. With Rock Ledger blockchain platforms data compliance initiatives such as HIPPA, FISMA, NIST, and other ISO standards are built in. The Rock Ledger platform ensures this security and privacy with technically enforced procedures in accessing and safeguarding systems. Multi-factor authentication is built in and systems come secure by default rather than open or not configured. The Rock Ledger system provides the industry's best guarantee on digital asset holdings and satisfies the most rigorous custody requirements. Rock Ledger platform enables control and custody of your digital assets and gives your organization the ability to audit transactions. Need for Rock Ledger Commercial Blockchain Platform - There is no confusion about where your digital assets are. 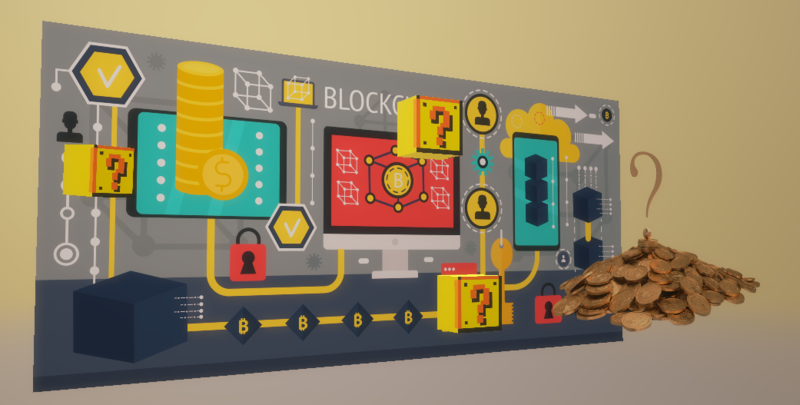 Currently the blockchain ecosystem is emerging in so many directions that it can be confusing and cumbersome to launch any blockchain adoption project. 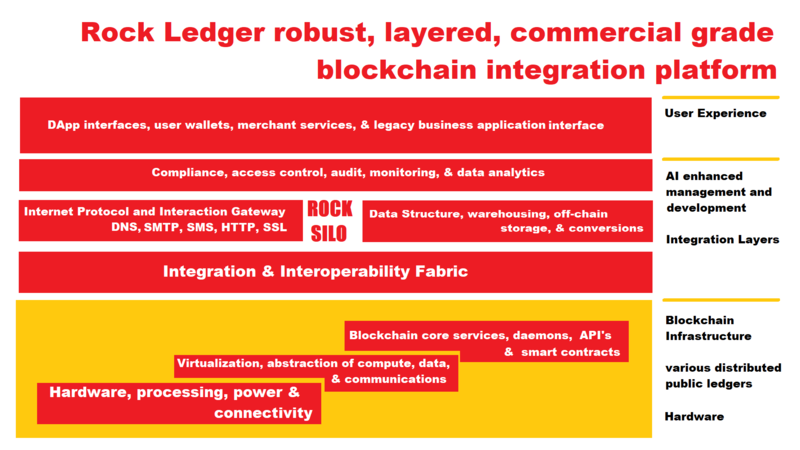 Rock Ledger simplifies blockchain adoption by providing key modular components and services at an enterprise scale. Built in compliance, segmentation, and processes ensure that the custody of digital assets is assured and maintained at all times.